Are you tired of dealing with ideas that are just "meh?" In Part 3 of the "10 Rules of Innovation Management" series, we look at Seeding and Advocates (Rules 5 & 6), sharing tips and tricks on how to inspire your crowds and increase idea submission quality, as well as how to up engagement by taking advantage of people who support your cause. Check out the 12-minute "coffee break" webinar to hear innovation management expert Roel de Vries answer your questions from Part 3! Grab your coffee and watch the webinar! New to the "10 Rules of Innovation Management" series? Every other week, we share best practices about online innovation management over on HYPE's Innovation Blog. 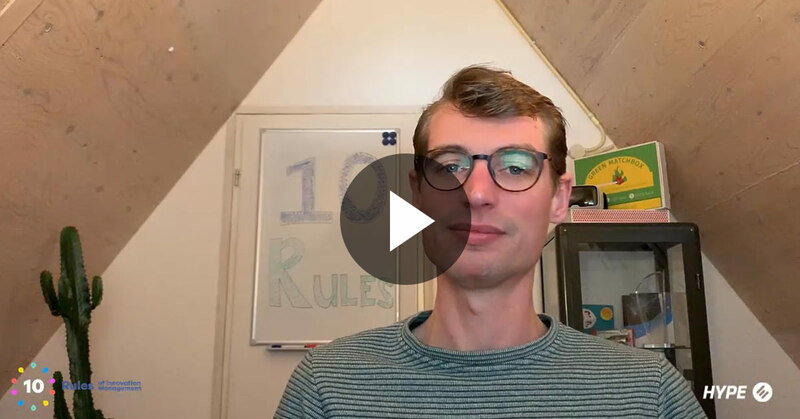 Following each blog post, innovation management expert and "10 Rules" author Roel de Vries answer your questions in these "coffee break" webinars! Sign up for the series here to receive all the content you missed so far.